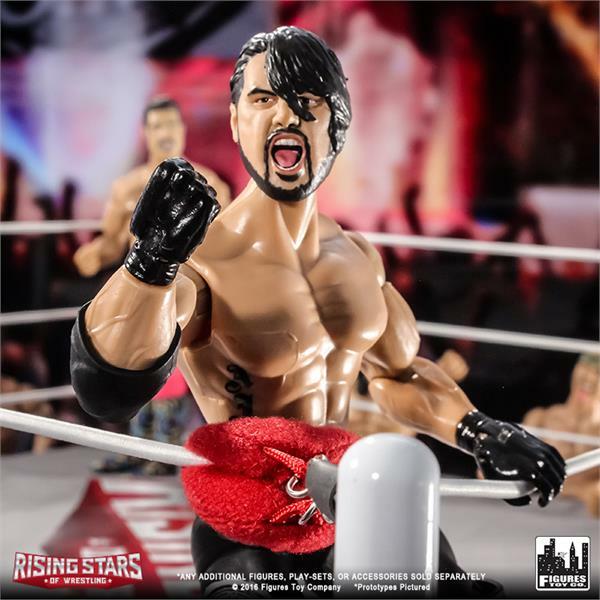 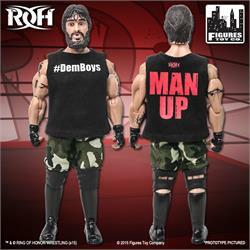 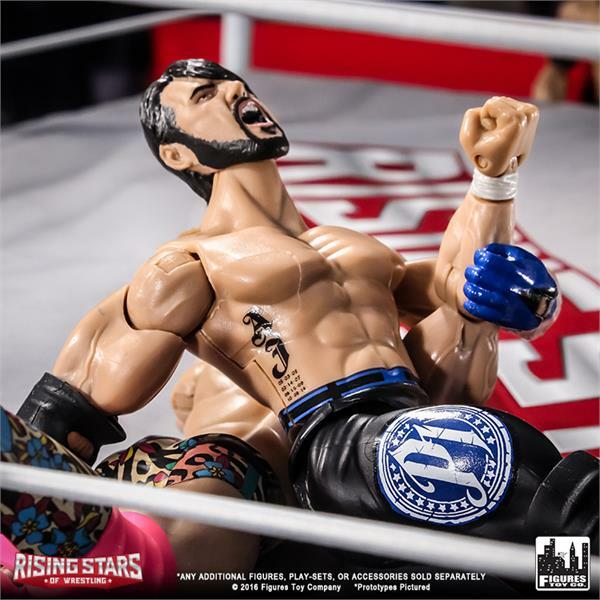 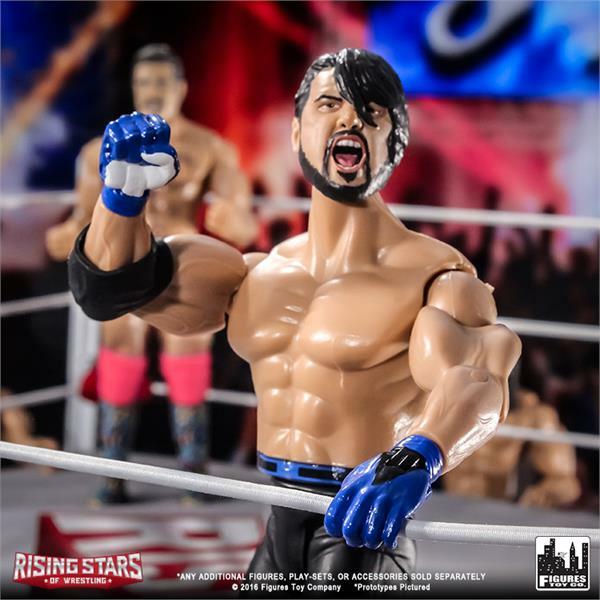 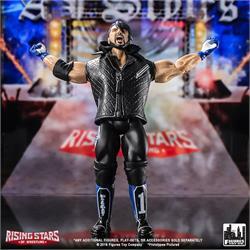 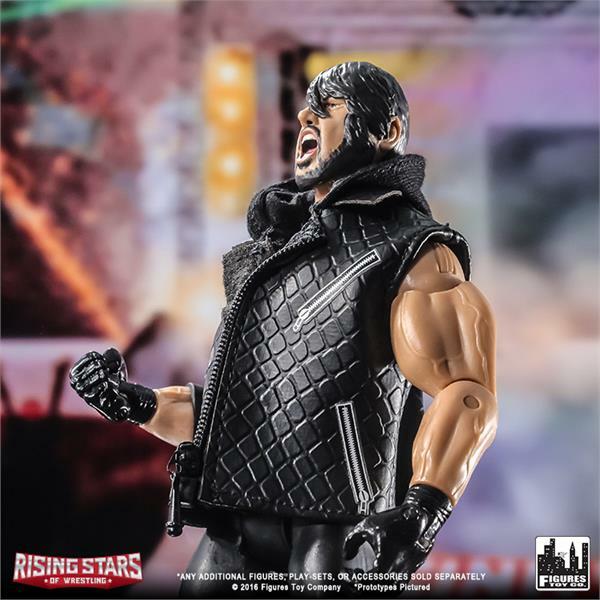 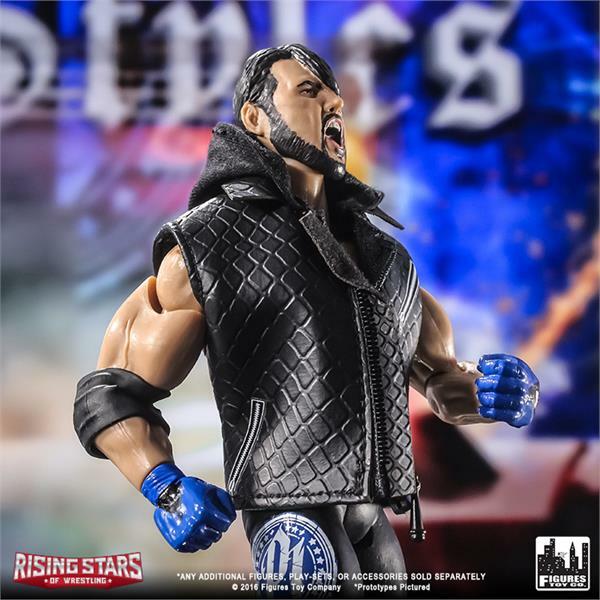 Figures Toy Company’s Rising Stars of Wrestling line kicks off with the first AJ figure in recent years, and depicts him with his updated attire and hairstyle. 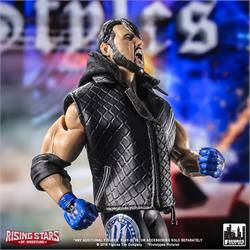 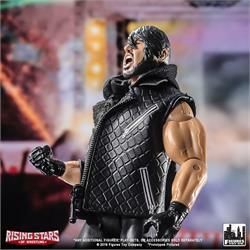 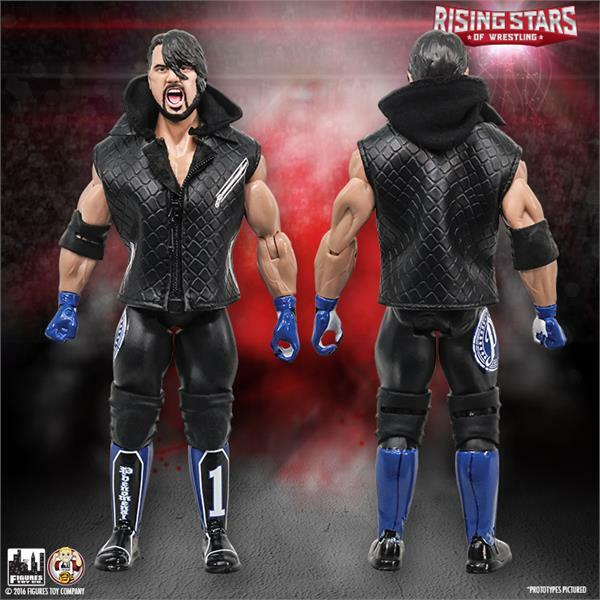 The new AJ Styles figure is ready to do battle in his blue and black “Phenomenal 1” gear, and comes with his trademark entrance attire of a zip up leather vest, as well as a guardrail accessory. 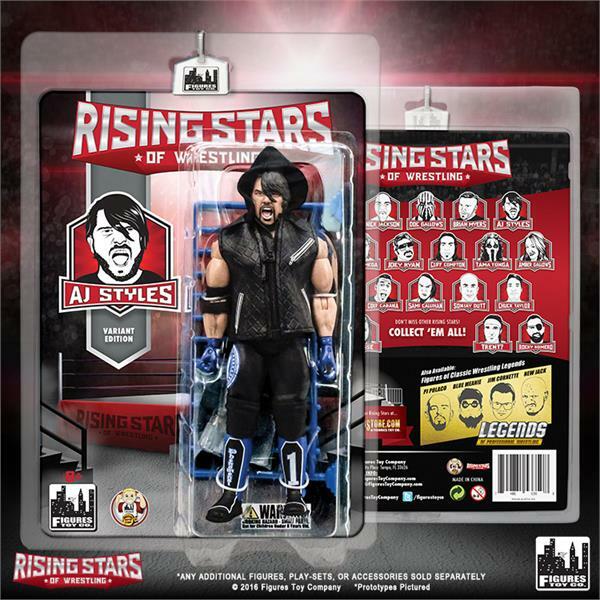 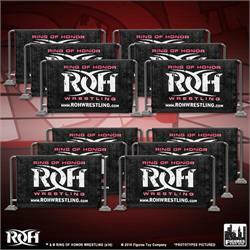 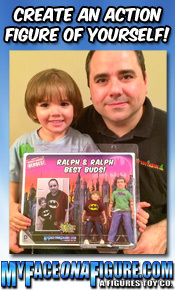 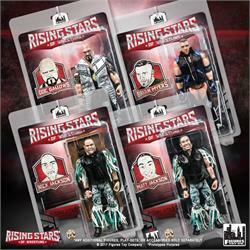 AJ is packaged in clamshell packaging with Rising Stars of Wrestling artwork that allows you to display him MOC, or take him out without damaging the card.